She laid bare a thinly-veiled dig at her former flames in a sizzling bikini-clad Instagram selfie on Tuesday. And now continuing her swimwear display, Lottie Moss, 19, showcased her willowy figure in a daring white two-piece as she luxuriated by the pool during her envy-inducing Los Angeles getaway on Monday. The Calvin Klein model displayed her sensational svelte curves as she enjoyed a beverage by the pool's edge with her pal and MIC starlet Emily Blackwell, 20. Her simply swimwear highlighted her taut stomach and narrow waist while she made her way to her lounger for a day of sunbathing. The catwalk star - who made her runway debut during Paris Fashion Week in 2015 - teamed her sporty bikini top with a pair of posterior-hugging bottoms which flaunted her perky derriere and slender legs. Opting to go make-up free, she worked her golden tresses into a messy top knot for the afternoon. After dramatically split with her former beau Alex Mytton in July, Lottie made a playful dig at her ex in a bikini-clad selfie alongside BFF Emily. The saucy swimwear shot showcased the fashion starlet's slender figure as she cuddled up to adorable golden retrievers on her BFF Emily's Instagram. Working a skimpy plunging two-piece, the blonde bombshell sizzled in the social media snap which showcased her eye-catching three flying birds tattoo as she smiled adoringly while petting her canine companion on the lawn. Mimicking her tiny bikini display, bestie Emily joyfully beamed while wearing a matching two-piece and spending time with the gorgeous pets. Captioning the sultry snap, she wrote: 'Reminiscing on your ex's likeeeeeeee', alluding to their happy facial expressions. 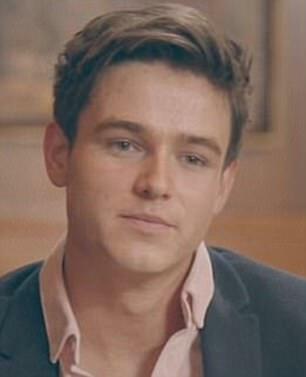 The comment comes after Lottie's romance with Alex went up in flames after he hinted he had been unfaithful when filming E4's Made In Chelsa special in Ibiza, Spain. 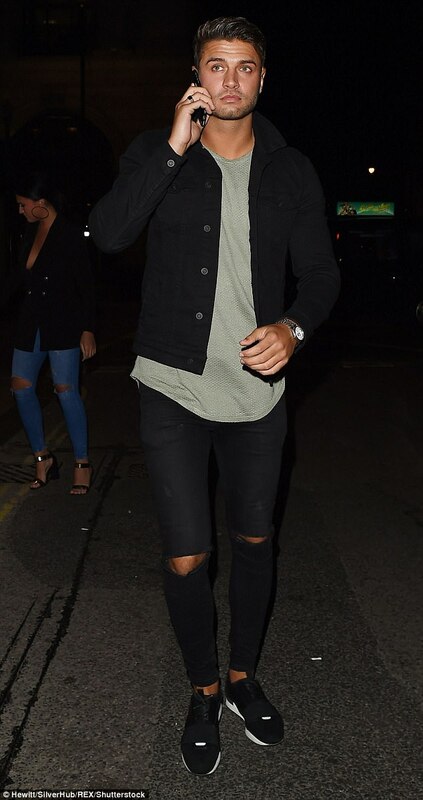 The pair have a well-documented tumultuous relationship after they were seen in the midst of a shouting match after his 'drunken behaviour' at a nightclub event, with an emotional Lottie overheard screaming, 'It's done' as he was ejected from the bash. Video content shows Lottie wiping away tears on the dancefloor before things escalate and she is seen telling Alex to leave the party, at the doors. 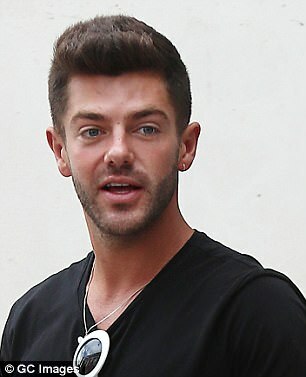 According to a source speaking to MailOnline the reality star arrived at the venue by himself at 6.30pm already 'very drunk' and was forced to drink two bottles of water by security before they would allow him into the venue. Despite the fallout, the pair have remained amicable and are frequently pictured hitting the party circuit together. 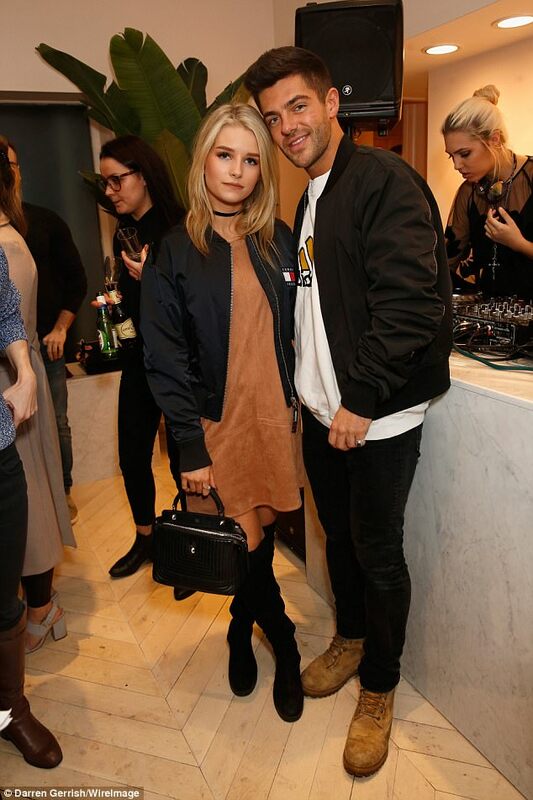 Previously, Lottie also dated Alex's co-star Sam Prince in 2014 and even reunited two years later in October 2016. While she was linked with school crush Josh Goldin before their romance fizzled out last summer. Currently in Los Angeles, the blonde beauty was spotted with a male pal during a night out in West Hollywood, stopping off The Nice Guy and Peppermint nightclub. Her LA sighting comes after she rumours she got saucy with 'Muggy Mike' after they met while out at Mayfair cocktail bar Mahiki last month. A source told The Sun: 'Lottie and Mike have made no secret of the fact that they fancy each other. The pair reportedly left the venue separately, with Lottie leaving first. Reps for Mike and Lottie were contacted by MailOnline for comment at the time. Lottie is now rumoured to be dating rugby player and model Elliot Clements-Hill after the pair met at V Festival. The model duo have enjoyed a string of dates across the capital after they were first romantically linked in August. Elsewhere, the blonde bombshell took to her social media to flaunt her cheeky 'Not Yours' tattoo on her derriere. Clearly loving the change of scenery from rainy Britain, the Storm Model Management signed beauty took to her Instagram platform to flaunt her derriere - which boasted a flirty inking. Looking into the distance as she took on the 'bambi pose' - made famous on Instagram which sees beauties perched gingerly atop their own heels - Lottie couldn't help but show off the 'Not Yours' tattoo.